I always thought the minimum brightness on the Dash was a bit too high. Years ago I found this "hack" by altering the factory calibration of the ambient light sensor and display. It works great - at night the Dash adds barely any light to the room but is easily readable at 18"" from my head. Im not exactly sure where this came from originally, its in my notebook now. perhaps the forum post at designstudioschool dot com. It's best to do this at nightime, or in a dark room. The dimness setting is on screen 12. 2. Save the empty file as "fi_inspection", save as type "all files"
3. Copy the file to a blank USB disk, and insert into the usb port of the Dash and wait a minute or 2. 4. Unplug the power from the Dash, wait a minute, then plug back in. 5. In a minute or 2 the Dash should boot to a final inspection screen. Screen 1: press all the "dots" until they are all gone, press and hold your finger in the red circle until the next screen shows. you should see a green arrow, press it. Screen 7: insert any 1/8" phono jack into to the headphone jack of the Dash. Screen 8: Press the red button next to "Microphone"
wait a few seconds until the progress bar finishes. Then press the button next to "headphone"
Screen 9: Press left speaker button. When sound has finished, press the right speaker button. Screen 10: Turn off the lights in the room. When the "low lux" is zero, press the low lux button. Wait a few seconds for the green smiley face. Turn on the room light and hold the Dash so that the "high lux" will max out, and while it's maxed out press the high lux button. Screen 11: just press "confirm", wait about 30 seconds for the green arrow, and press it. Screen 12: Here is where you adjust the dimness. Turn off the lights in the room. Press the "-" button until the screen goes black, then press the "+" just until you see the faint screen. The increments are small so go back and forth with the "-" and "+" as many times as needed until you're happy. It's best to let your eyes adjust to the darkness of the room for final setting. When the low level is correct, press "confirm", wait about 20-30 seconds for the screen to go bright, then press the green arrow. Screen 13: test all 3 backlight settings, off, dimmest, brightest. Press green arrow. Press "finish", and turn your lights back on. The Dash will reboot. It will ask to confirm your network. Follow the screens. When it's all booted up, you'll have to set reset your time zone. In the "menu" go to "time / date", press edit clock, select time zone. Remove the usb disk. That should do it. It's still just a tiny bit too lit for my taste, but much better than it was out of the box. It's really easier than it's written, but I wanted to spell it out. I hope this is helpful. um... would a slider that goes all the way to 'barely perceptible' in night mode be good enough? you have to look really close... that's my 'night sky' notebook background behind it, room lights off. I know the B70 doesn't get dark enough at the minimum Night Mode slider. My C10s are dimmer enough at minimum slider. Thanks for your efforts. Is this brightness hack still possible with the new Chumby software installed? I would love to dim my C10 below it's current minimum setting. I think it will still work, but I haven't tried it. You'll need to use a dongle that does not have the chumby software on it, since it's likely to conflict. It looks like this hack may not be possible post-Chumbyfication. Using the same FAT 1GB dongle I used to install Chumby, emptied of all but a blank "fi_inspection" file, my C10 just boots into Chumby as normal. 3 attempts, no final inspection screen. If anyone else has any success, please let me know. The microphone test records a bit and the headphone test plays it back. The speaker test plays loud tones. Wish I hadn't done this after midnight! Well I got a little further than I did last time, but still no joy. At boot, I'm greeted with this screen.. Tapping on the screen or pressing the top buttons does not seem to do anything. The clock at the top/left just keeps ticking away. Interesting - I have some very old source code for this, and the reason the button isn't showing up is because of the "bind = [NO]" thing you're seeng on the screen - all of those things should be "[YES]" for an end-user production device. I'm not sure what that actually means, but I'll investigate. It may be that there's something odd with this device and how it was bound to Sony's systems. I've used my C10 for 6+ years, purchased as a refurb from woot.com. I never let Sony install the 1.7.1604 update by just keeping my Dash in night/clock mode until Sony finally closed the service completely a couple weeks ago. I wonder if by still running 1.7.1526 & connected to Sony when Sony pulled the plug, that somehow nerf'd the Dash? Any idea how to fix the "bind = [NO]"? No, this is part of Sony's middleware, for which we do not have source. The software I mentioned is just the part that displays that value, so I know where it comes from. I don't know of a way to fix it. On a related note, any chance of getting a deeper/darker brightness setting in a future Chumdash update? This calibration is in the firmware and is adjusted via the fi_inpsection method. I am the originator of the procedure posted here. 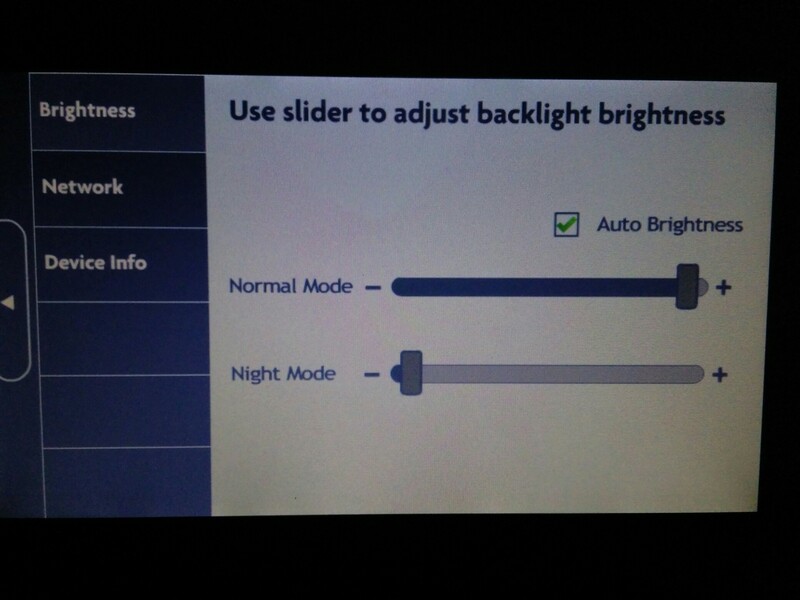 Back many years ago when the Sony Dash forum existed, night mode was an issue because it was still bright enough to light your bedroom. 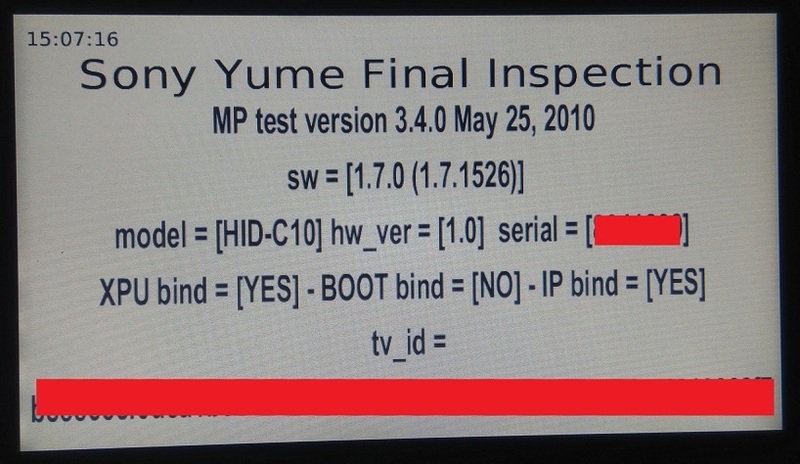 A Japanese engineer with terrible English posted fi_inspection to fix but never gave any directions on how to use it. The next day his post was deleted from the forum. but I printed out what he'd written at the time I read it. After much experimenting, I was able to get it to work and write up a procedure. I posted these instructions on the Sony Dash forum and a few weeks later a firmware was pushed to all Dash's that rendered fi_inpsection inoperable, and everyone was upset. I can confirm that this worked for me on post Chumby firmware. But, I'm using a very old 256mb / Fat32 usb stick. The trick seemed to be on the screen at step 12 with "-" and "+", there is a green bar. Keep pressing the "+" until the green bar is almost all the way to the right, then press the "-" to start dimming. When the screen goes black, press "+" and "-" back and forth between black and dimness, it seems to have a finer adjustment when the green bar is almost all the way to the right. Just make sure after the Dash reboots to go into the "adjust backlight screen" and make sure you slide the night mode slider all the way to the left. 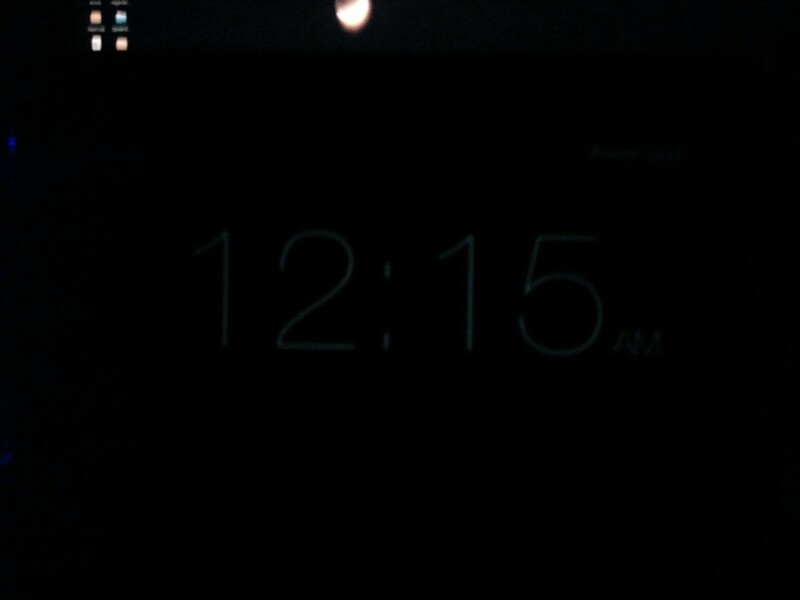 Mine is set so that in a pitch dark room, you can see the clock numbers very dim without any LCD backlighting bleed. I actually believe that even if you adjust step 12 so the screen is black that you'll be able to adjust it dim through that setting after bootup with the slider, so if night mode is still too bright after fi_inspection, try that. I recently Chumbyied a second Dash for a spare bedroom and fi_Inspection worked great to solve the too bright at night issue. On another note I very much appreciate Chumby for enabling the Dash to continue it's life.